The U.S. Mint began striking silver dollars in 1794, and the designs have changed many times over the years. Silver was once the primary metal used to manufacture dollar coins, but due to the increased value of silver, it was phased out of most coin production in the 1960s. Silver dollars are highly prized by collectors depending on design, condition and scarcity. Inspect the coin to determine its grade. Grades vary depending on wear and damage to the coin, and various designs will grade differently depending on wear to certain features of the coin. Generally speaking, a coin must have no wear and few contact marks to be considered in the uncirculated grades, while a coin with plenty of wear will usually grade no better than good or fine. Silver coins in uncirculated grades tend to be worth 20 to 30 times more than the same coin in good condition. Consult an expert. You can visit a local coin shop or go to a coin collectors show to seek advice from those in the know. Another option is to send your coin to a coin grading service such as Professional Coin Grading Service or Numismatic Guaranty Corporation (see Resources). For a fee, these services will grade your coin and put it in a tightly sealed holder. Once the coin is professionally graded, you will be able to estimate its fair value. Find a guide to see a list of rare coins. Some silver dollars are harder to find than others, especially those from particular mints. Less than 12,000 copies of the 1870 seated Liberty silver dollar were minted in Carson City, for example, so coins from that year with the "CC" mint mark tend to be worth at least double those with other mint marks. A top guide for finding rare coins and looking up values is "Whitman's Red Book," which is published annually. A useful website for looking up coin values is Bestcoin.com, which also has an extensive price guide. Search for error coins. The U.S. Mint occasionally makes mistakes, double stamping coins or stamping the wrong date and later correcting it. The 1888 Morgan silver dollar is a prime example. Some coins feature double stamped lips. This coin, known as the "hot lips" variety, can be worth two to four times the value of non-error coins from this year. 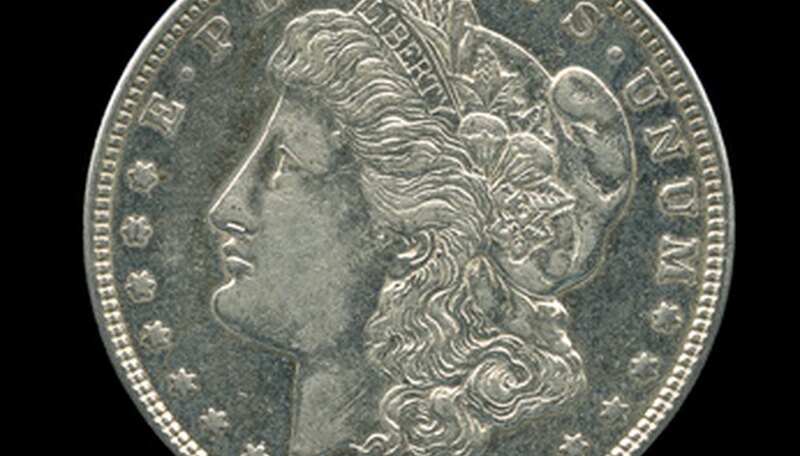 Look through your old silver dollars to see if you have one of these scarce varieties. Protect your valuable coins by buying holders for them. Many collectors invest in simple cardboard holders with cellophane coverings for the coins. Put the coin in the center and fold the cardboard over the coin before stapling it together. These holders fit in nine-pocket sheets that can go in three-ring binders.